How To Knock Someone Out Without Hurting Them? 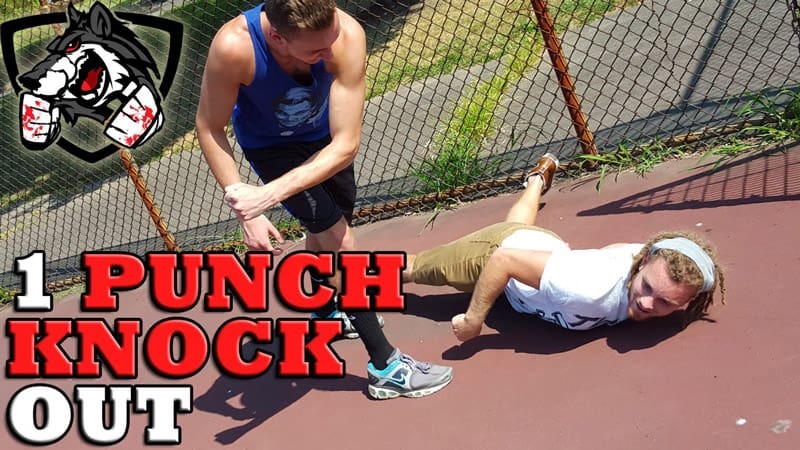 If you’re wondering how to knock someone out without hurting them, then these series of techniques will serve you well. But first thing’s first – know that it’s almost impossible to make someone unconscious without hurting them at all. So a more proper question would be how to make someone unconscious without causing permanent pain. If you are a boxing fan, these techniques would seem familiar to you. The knockout punch is something every boxing fan wants when watching a match. Medical personnel may call it as a concussion, but it’s just plain “knockout punch” for everyone else. A knockout punch is any hard punch that makes your opponent unable to fight anymore. A fair warning, though, a knockout punch can be extremely dangerous when done wrong. 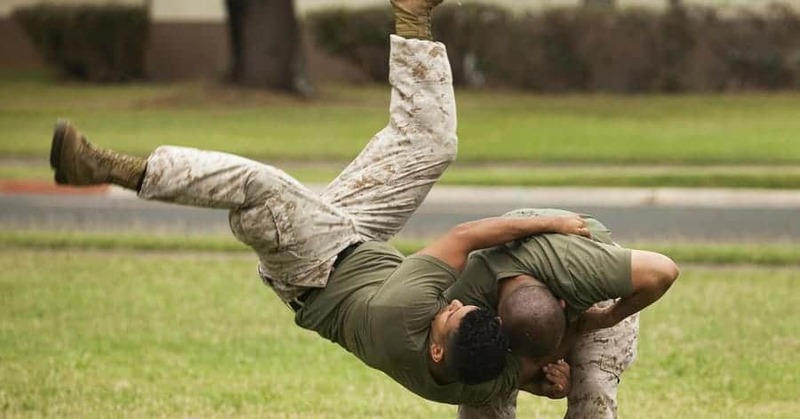 Releasing a harder punch than it’s supposed to be, or hitting the wrong part could break bones. In worse cases, a knockout punch could cause death to the receiver. Furthermore, an extensive number of head blows could cause permanent damage to your adversary. With all these in mind, it’s imperative to make yourself aware of the possible consequences you could render to a potential opponent. In the sports world, it’s considered a clean knockout when you’re able to do a one-punch knockout. It’s when you connect your fist with the chin, jaw, or temple, and the opponent becomes suddenly dysfunctional. The unconsciousness happens when the brain is rattled due to the impact in the head. When the brain is shaken, it could jostle back and forth against the skull, causing a major blackout in the person’s system, hence the knockout. So let’s start with the punch in the temple. The temple is the weakest point of the skull; situated behind the eyes and along the sides of the forehead. The temple is also where you can find a primary pressure point that, if appropriately impacted, it will make the brain to bounce in various directions against the skull fiercely. As a result, the person becomes unconscious. A technique called the roundhouse punch attaches from a circular arc, and the hip rotation drives the shattering punch. Punching in the temple is just like delivering a sideswipe (see the next technique below) only that you will have to make a more direct contact with the desired spot (temple). The hip rotation also amplifies your punch, making it more devastating. Note that you should bend your wrist slightly inwards so as to land the punch with your knuckles; do not just slap your opponent with your palm. Placing some of your weight behind your punch may even generate more power. Begin by putting your left leg forward (if you are right-handed). On the other hand, left-handed people can use their right leg. Now bend your right knee (if you are right-handed, and the other knee, if you are left-handed) in a slight manner as you leave it behind you. This position allows you to bounce loosely when you need to. While rendering this position, try to multitask and pay attention to your target and focus on your opponent’s middle of the chin or his jaw. At the same time, it’s important to stay calm and breathe normally. There is this nerve that you’d want to strike when you hit the jaw. If done with enough force and appropriately, you will successfully knock the other person out. When you are already in position, you are now ready to deliver the punch. While twisting your waist, bring your right arm to your side in one swift motion. It’s essential to stay loose except for the final moment. Now tighten your body (right before the punch lands) while swinging towards the chin or jaw. A sideswipe blow is to attack with a glancing blow or a full circular stroke along the side part of the chin or jaw that could make the head of the other person snap to the side, consequently causing unconsciousness. Once you’ve done your first attempt, try to follow through with that punch. An uppercut is making your arm slightly bent and directed upward to the opponent’s chin in a short swinging linear bow. Unlike the sideswipe where you could snap the other person’s head left or right, an uppercut could snap your opponent’s head backward or upwards. The nose is also another ideal target to make your opponent unconscious. However, the target you want to hit is not the nose itself but that small space above the enemy’s lips and the below the nose. It is where a group of nerves is located, that if hit, will render a severe pain in your opponent. You will also leave your opponent with watery eyes. Hitting this critical area will make your opponent immobile. However, not for long. But this gives you the window to deliver more punches without worrying the opponent may strike back. This technique, however, is quite tricky and dangerous at the same time. 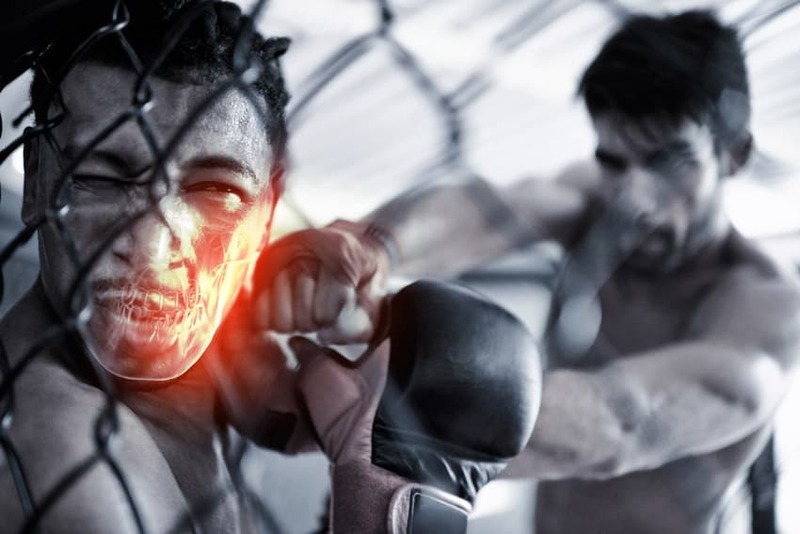 A wrong punch could push the nose cartilage into the other person’s brain, causing death. Leg kicking is one of coolest techniques to look at. A person who could leg kick would look professional. You can execute the leg kick by standing in a solid posture with both feet equally but slightly apart. Now, lift your knee forward and target the chin or jaw. While doing that, keep your foot and shin hanging freely. The moment you already made a significant angle, immediately thrust your leg in a straight up motion and hit the desired area. A punch in the stomach is undeniably painful. And a strike at the right spot could mean more pain. The solar plexus, for instance, is an ideal place in the body. The solar plexus also serves as the diaphragm. Hitting that spot is utterly painful, and could also cause the diaphragm to spasm and will deliver almost all air out of your opponent’s body. As a result, your adversary will have a hard time breathing, allowing you to produce more blows that could eventually knock your foe out. Hitting the right spot in the neck can cause a knockout; putting too much force could even kill your enemy. So be careful when trying to execute this technique. The ideal spot would be the carotid artery located on the side of the neck. A sudden blow in that area will cause a rapid drop in your brain’s blood pressure. Furthermore, striking the windpipe will cause your opponent to gasp for air. A successful attack would make them unconscious. It would be wise to ask for personal assistance from a professional when trying to practice this technique as the consequences are grave. The head is undeniably one of the most vulnerable parts of the human body. Hitting this particular spot could cause substantial damage to your foe. The top of the head, specifically, is the weakest spot and could easily be damaged. There is a reason behind why this spot is off-limits to sports fighters. 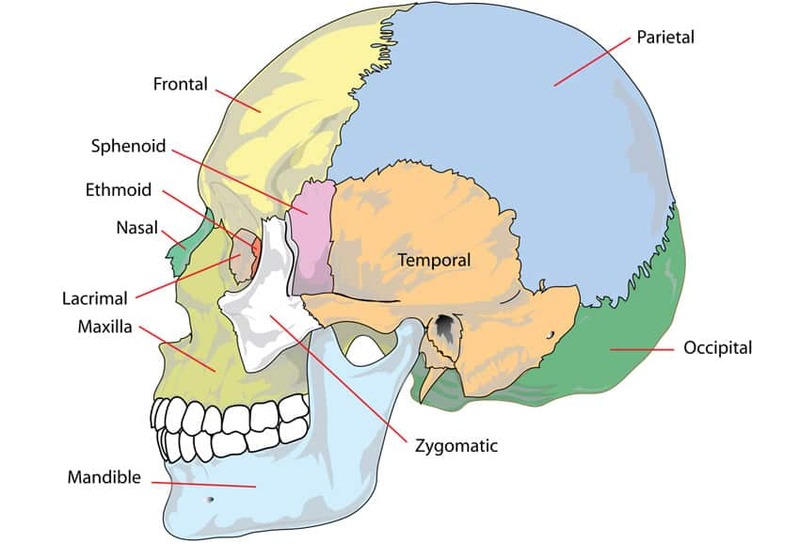 After a person is born, the top of the head is the last area of the skull to form. That’s why any blow to this area could cause unbearable damage and permanent harm. In worse cases, a person hit hard in the top of his head could experience not just pain but could also lead to internal brain hemorrhaging which is typically not noticeable in the early stages. This could eventually result in a coma, and if not able to survive, the person may die. I’m more offended by relativists than assholes. 1. When striking someone with enough force to render unconsciousness without hand protection (like a boxing glove), it is quite possibly to break the small bones in your knuckles. One can possibly circumvent this with a palm strike or hammer fist. 2. Any blunt trauma to the head strong enough to induce unconsciousness can cause significant damage, including death. This risk is increased if fighting on a hard surface, because an opponent may hit their head as they fall. 3. A safer but more technically challenging option is a rear naked choke (or chokehold). This will constrict the carotid arteries in the neck, in turn cutting off blood flow to the brain and inducing unconsciousness in 5-10 seconds. The person will should regain consciusness about 10 seconds after this. IMPORTANT NOTE: Do not hold a choke for more than 10 seconds, as this could cause permanent brain damage.